﻿﻿S350 is a beautiful and great smart lock. It’s the best choice of smart life which you can enjoy intelligent, safe, convenient and trendy smart home experience. The lock can protect property, facilitate living and reassure your family. Voice-guided programming instruction makes operation much easier. Quick response and precise recognition. It can unlock promptly to avoid long waiting. 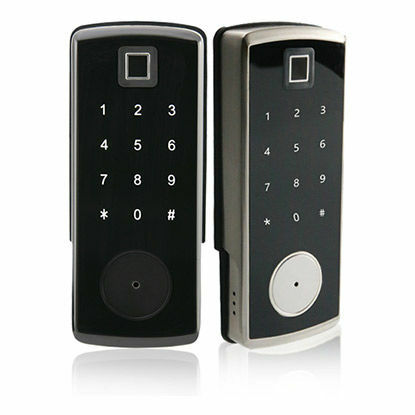 Multiple unlocking ways, by fingerprint, code, card and mechanical key. 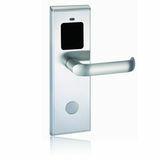 Each way can unlock the door very convenient, fast and safe. Comprehensive protection. The smart lock will be locked out for 3 minutes after 6 times unsuccessful attempts at entering a fingerprint/code/card. When battery power is low to 4.8V, the lock will emit low battery warning sound. Privacy button function, when you switch privacy button inside door, no one can enter from outside using fingerprint, code or card. Easy to activate the privacy feature, the lock creates a security environment in your home. 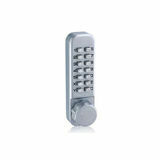 Automatic lock to prevent hassle of repeated locking, no matter when you are at home or outside. Emergency unlock function. Each lock comes with emergency keys and USB power supply terminal. If battery power runs out, use mechanical key or USB backup power to unlock the door. Main boards are waterproof, anti-mildew and moisture proof, passed high and low temperature, vibration and ageing test so that suitable for different application places.